We often forget that celebrities are just ordinary people. When the basketball season ends or the movie wraps up, these people go back to being like you or us. It’s not like they’re dribbling basketballs, throwing touchdown passes, or attending red carpet events all day long. Former pros Karl Malone and Brett Favre grew up under humble circumstances where hunting and processing wild game was a part of everyday life. Others are more surprising, like Eva Longoria skinning a pig. Brett Favre is the all-time leader in just about statistical category for NFL quarterbacks. But for all that time spent on the field, Favre probably spent an equal amount of time in the field tracking deer with his NFL buddies. 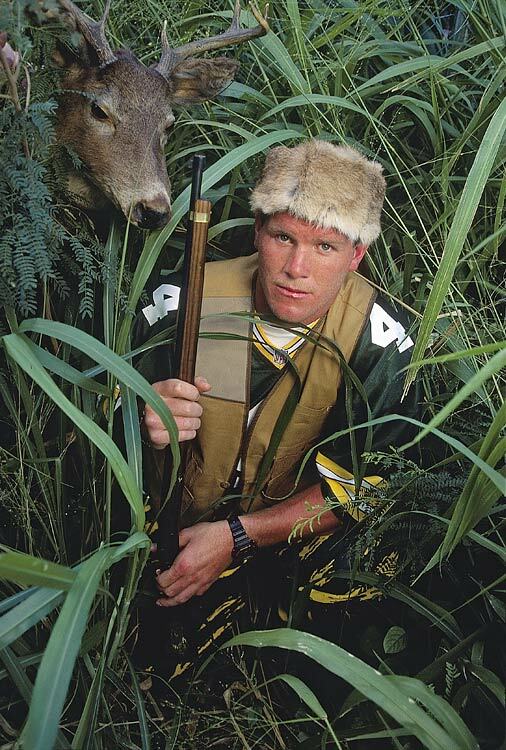 Before hitting it big in Green Bay, Favre and his brothers used to hunt and eat squirrels in the bayou country of Mississippi. He’s probably eating more lobster than squirrel now. Former slayer Faith on Buffy The Vampire Slayer is also a deer slayer. In 2008, actress Eliza Dushku drew the ire of PETA when she told Jimmy Kimmel about her passion for deer and elk hunting. The organization compared her to a serial killer, so since then she has sworn off talking about her hobby. 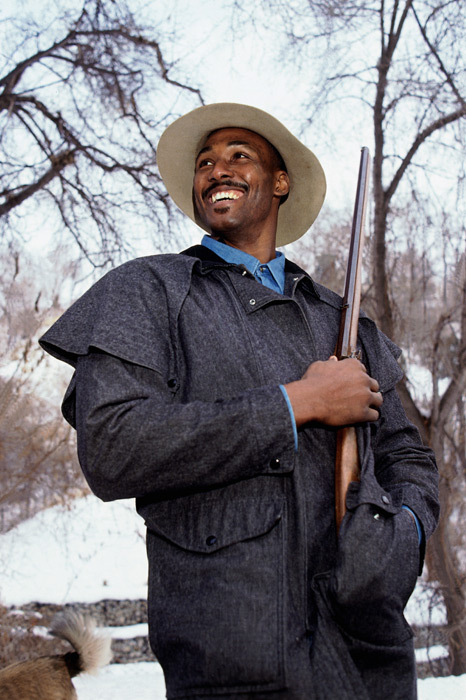 When not connecting with Utah Jazz teammate John Stockton for a bucket, NBA legend Karl Malone was often connecting with big-game in the mountains of Utah. Malone grew up with nine brothers and sisters on a farm in Summerville, Louisiana, where he took to hunting as a way to pass the time and put extra food on the table. Since his retirement from the NBA, Malone has dedicated his life to hunting and land conservation. In 2001, Malone donated $100,000 to help the Utah DWR re-establish bighorn sheep.